Azerbaijani banks' capital adequacy is the highest among CIS systems, Trend reports referring to Moody’s report. “Azerbaijani banks have strongest capital adequacy as a result of government capital support for the International Bank of Azerbaijan (IBA),” Moody’s said. The Azerbaijani Financial Market Supervision Authority (FIMSA) has approved a schedule for raising the minimum requirements for the ratio of the adequacy of total capital and the ratio of the adequacy of capital of the Tier I system banks. The new “Rules for the calculation of bank capital and its adequacy”, to come into effect on May 24, 2019, envisage this schedule. The new rules envisage the concept of a backbone (system) bank, the criteria for determining such banks are set by FIMSA. 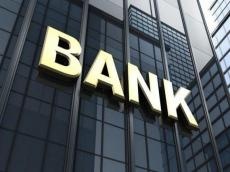 In particular, the minimum value of the coefficient of adequacy of the total capital of system banks from June 1, 2019 must reach 11 percent, while from January 1, 2020 - 12 percent (the adequacy ratio will remain at 10 percent for other banks). The minimum value of the capital adequacy ratio of Tier I of system banks from June 1, 2019 must reach 5.5 percent, while from January 1, 2020 six percent (it will remain at five percent for other banks). According to FIMSA, capitalization of the Azerbaijani banking sector in 2018 amounted to 4.071 billion manats, total assets of Azerbaijani banks reached 29.502 billion manats, total liabilities - up to 25.43 billion manats. Net profit of the banking sector in 2018 amounted to 883.6 million manats. There are 30 banks in Azerbaijan, including two state banks.